ISTOCK, FAIRYWONGAs parents, we all want what’s best for our kids. However, it’s not always clear what that is. At every turn, we are faced with questions where the answers are not yet known or are unknowable. Although the evidence in support of some practices (vaccination) and against others (licking lead paint) is incontrovertible, most decisions will be made in the face of inadequate evidence but all too many opinions. This applies to decisions involving the development and maintenance of a child’s microbiome. 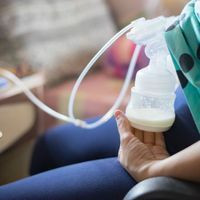 If I can’t breastfeed, should I use human milk from a milk bank rather than formula, even though the pasteurization process will kill off any beneficial microbes and many beneficial compounds? Will my child’s microbiome be improved—and their risk of developing allergies reduced—by rescuing a dog or a cat, or is it best not to have a pet? Should dropped food items be discarded once they touch the floor, or can they be safely consumed even if they’ve been sitting around for a while? Is in-home care better or worse for my child’s microbiome than daycare with other children, where they will be exposed to a much broader range of beneficial microbes but also to pathogens that can harm them? Such questions are especially difficult to address when published papers provide one piece of the puzzle, while many others are missing. 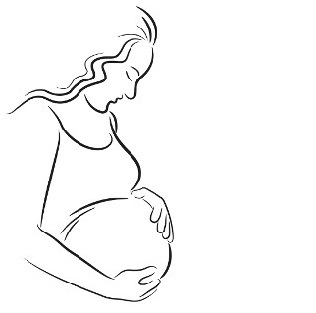 A recent editorial in The BMJ urged clinicians against “vaginal seeding,” the process of swabbing babies born by Caesarean section (C-section) with their mothers’ vaginal microbes. In their editorial, the authors commented on a recent Nature Medicine paper on which one of us (Knight) was a coauthor. 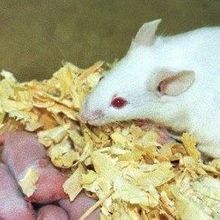 Based on data from vaginal seeding experiments to date, the authors cautioned against use of the approach on the grounds that there is not yet sufficient evidence to recommend the procedure and, more importantly, because there are potential risks associated with the transmission of known pathogens. We agree that, at present, we don’t yet know whether the many conditions associated with C-section—including reported higher rates of allergies, asthma, atopic dermatitis, and even an association with autism diagnosis—are due to lack of exposure to the maternal vaginal microbiome to which, until recently, every surviving mammal had been exposed at birth. However, we won’t know unless we do the research to find out. In 2010, it was a huge surprise when my colleagues and I discovered clear differences in the microbiome at birth between C-section and vaginally delivered babies. On the basis of this alone, after my partner had an unplanned C-section, I seeded my newborn child with the vaginal microbes the baby would have received naturally had everything gone according to plan. To be clear, if a mother tests positive for any pathogens that could harm her child, we agree that clinicians should not perform vaginal seeding. 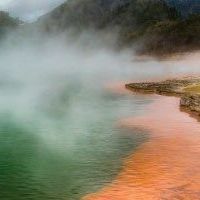 (Routine testing for Group B strep and other pathogens provides an evidence-based way to determine whether you should use this method.) But based on the evidence to date that your child’s microbiome at birth is important and modifiable, we think that parents should make up their own minds how much evidence is enough given the evolutionarily sound logic and clear health advantages of vaginal birth over C-section. We thank Sandra Blakeslee for suggestions and editing. Rob Knight is a professor of pediatrics and computer science at the University of California, San Diego. Jack Gilbert is a professor of surgery at the University of Chicago.